Jacqueline (1960) is an NLP Master Practitioner, certified Social Panorama Consultant and certified hypnotherapist. She has also been certified by the Bert Hellinger Institute for family constellations. Jacqueline studied hypnotherapy and psychotherapeutic techniques at the SETH, 1991-1994. She did the NLP Practitioner Master training at the Institute for Eclectic Psychology in 1995-1996. She was trained as a Social Panorama Consultant by Lucas Derks. In 1999, she went into the systemic work of family constellations, for which she was trained at the Bert Hellinger Institute the Netherlands. She has attended many workshops held by (internationally) certified therapists. 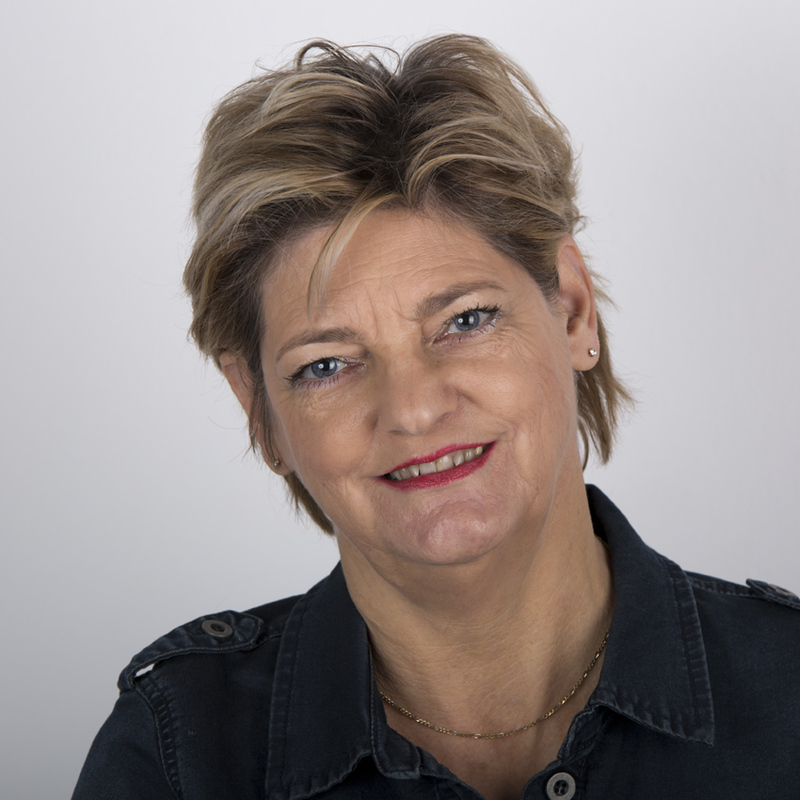 Since 1994 Jacqueline has had her own practice, Heemskerk Coaching Katwijk, coaching-therapie.nl, in Katwijk aan de Rijn, the Netherlands. After many years of study and experience, she has specialized in brief and goal-oriented procedures. Especially the instruments of NLP and the Social Panorama match this approach. Jacqueline works a lot with people who feel insecure, and she immensely enjoys seeing people walk uit of the door full of self-confidence. Also, clients with burn-out, stress and emotional problems are mostly rapidly rid of their complaints. She also uses the DAS method, Depression in Awareness Space. Jacqueline has developed an MSP-based model/intervention dealing with becoming aware of and coping more adequately with boundaries. She is also greatly interested in investigating how MSP can be made use of to give further training to other target groups than therapists. Jacqueline can be contacted at j.heemskerk@somsp.com.